Tee hee! 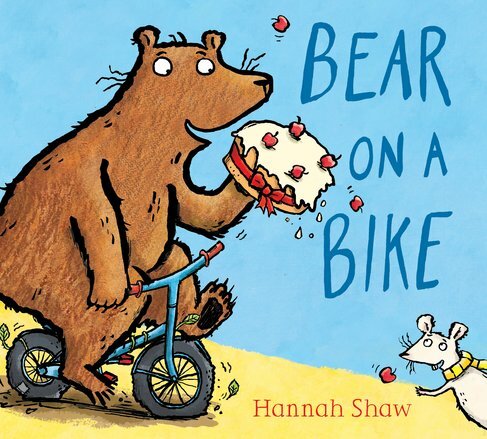 Say hello to the cutest picture book bear in ages. He likes bikes. He likes cake. He likes making you giggle. Ting Ting! Bear coming through! But where is our huggable hero going? And why is he carrying a big yummy cake? Find out in this funny story. We’ll give you a clue: it’s Mouse’s birthday. Bear would like to give him a lovely surprise. But he’s late for the party! Will Bear and his cake arrive in one piece? Without even a single strawberry getting gobbled? PS: if you liked The Disgusting Sandwich, this not-at-all disgusting picture book is by the genius artist who did the pictures for it. Lovely.